Everyone at Marty MacDonald’s Farm is delighted with the special delivery that’s arrived – the Toy Machine that makes all of the toys in the world! But then they realise that Crafty the Crow has been up to mischief and it shouldn’t really be there at all… Worse still, the machine has stopped working, so they need to fix it before the Toymaker comes to get it back! 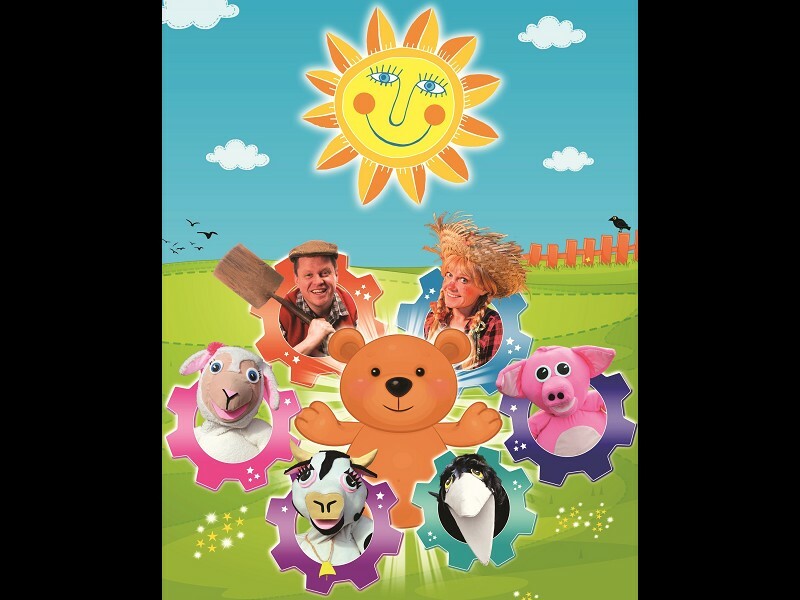 Join Marty, Sally the Scarecrow, Pongo the Pig, Molly-Moo the Cow and Sheena the Sheep in a fun, musical, interactive adventure to repair the Toy Machine, save the day and give the world back its toys! Songs include: Head, Shoulders, Knees And Toes, The Wheels On The Bus, The Hokey Cokey, The Grand Old Duke Of York, Mary Mary Quite Contrary, Old MacDonald Had A Farm and many more! Marty MacDonald's Toy Machine is a fun, interactive, song-filled adventure, set on a colourful farmyard and featuring a host of lovable puppet characters. It's family show particularly suitable for 2 – 7 year olds, lasts for 80 minutes (including a 15-minute interval) and has a special cast meet & greet after the performance.